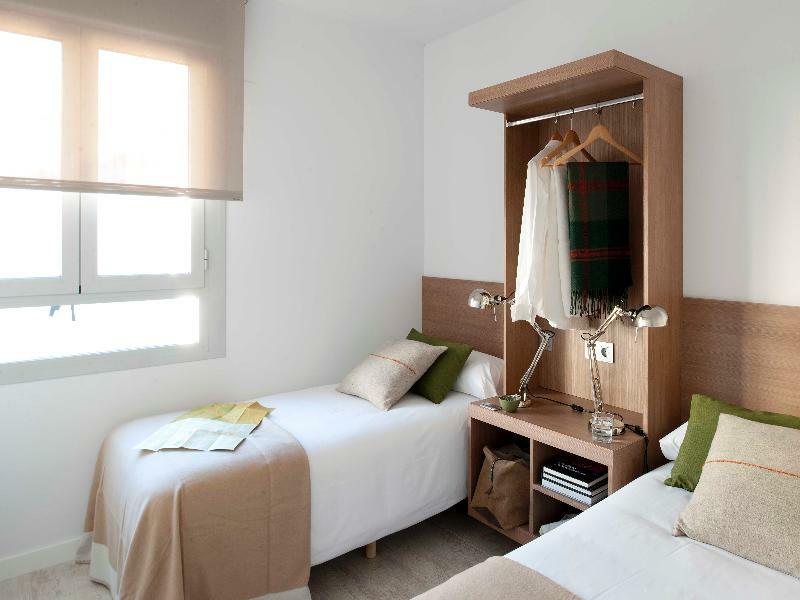 ﻿ Eric Vökel Boutique Apartments – Sagrada Familia Suites Barcelona. JIMAT di Agoda.com! Ada soalan mengenai Eric Vökel Boutique Apartments – Sagrada Familia Suites? 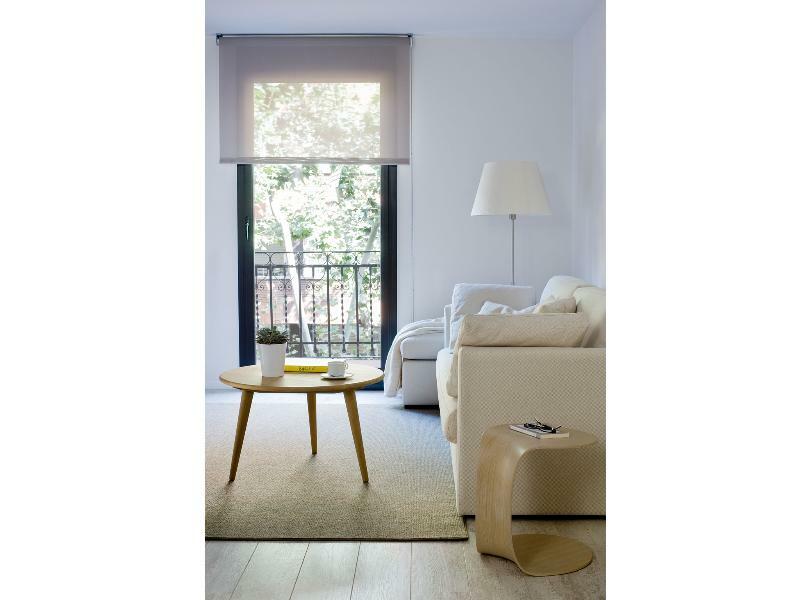 Terletak pada kedudukan yang baik di kawasan beli-belah, siar-siar, budaya di bandar Barcelona, Eric Vökel Boutique Apartments – Sagrada Familia S menyediakan tempat yang paling sesuai untuk anda berehat seketika dari kesibukan hari anda. Hotel ini terletak 1 km dari pusat bandar dan menyediakan akses kepada kemudahan bandar yang penting. Bagi anda yang ingin pergi agak jauh, Sant Pau Recinte Modernista, Pavellons Güell, UAB Idiomes Barcelona merupakan beberapa daya tarikan untuk pelawat. 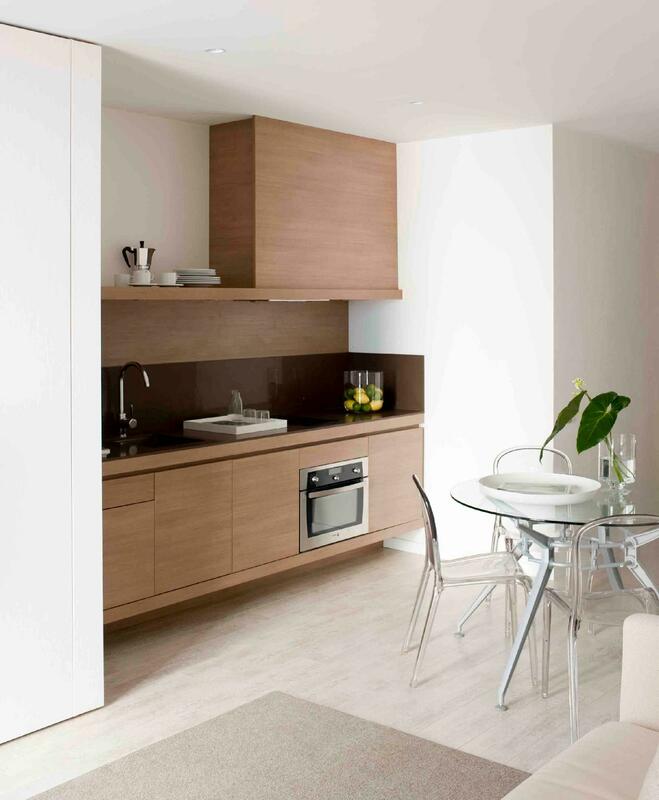 Di Eric Vökel Boutique Apartments – Sagrada Familia S, segala usaha dilakukan untuk membuatkan tetamu berasa selesa. Oleh yang demikian, penginapan ini menyediakan perkhidmatan dan kemudahan yang terbaik. Untuk keselesaan dan kemudahan tetamu, hotel ini menawarkan Wi-Fi percuma semua bilik, Wi-Fi di tempat awam, tempat letak kereta, pengangkutan lapangan terbang, bilik keluarga. Semua penginapan bagi tetamu menawarkan kemudahan yang difikirkan dengan teliti bagi memastikan rasa selesa yang sukar ditandingi. Di samping itu, pihak hotel menawarkan aktiviti rekreasi untuk memastikan anda mempunyai perkara untuk dilakukan sepanjang penginapan anda. Nikmati perkhidmatan yang sukar ditandingi dan lokasi benar-benar berprestij di Eric Vökel Boutique Apartments – Sagrada Familia S.
Jika tempahan dibuat untuk 5 orang atau lebih, polisi berbeza dan tambahan akan dikenakan. Hubungi pihak penginapan untuk maklumat lanjut. Penginapan ini tidak mempunyai kaunter pendaftaran 24 jam. Resepsionis tutup setelah pukul 18:00. Check-in di luar jam yang telah disebutkan tersedia dengan sistem otomatis. Very close to Sagrada Familia and St. Pau Hospital - both are very charming! We stayed here for 2 nights and more nights at other Eric Voekel's properties, so they let us store our luggages while we're travelling to other cities. Receptionists are very helpful and friendly. Thank you! Loved this apartment, lovely and clean, great location, good beds, great shower and huge towels, toiletries poor though and the window in the children’s bedroom wasn’t openable due to bad smell wafting in.. we didn’t get what we’d booked..the fault of Agoda apparently who sneakingly changed my reservation on line, even though nobody picked up the phone after waiting for ages..and didn’t reply to my messages/mails.. never again, have just deleted their app. Thanks Myriam on reception, a lovely person! I’d definitely go back to Erik Vökel! A very high standard of accommodation on the whole.. 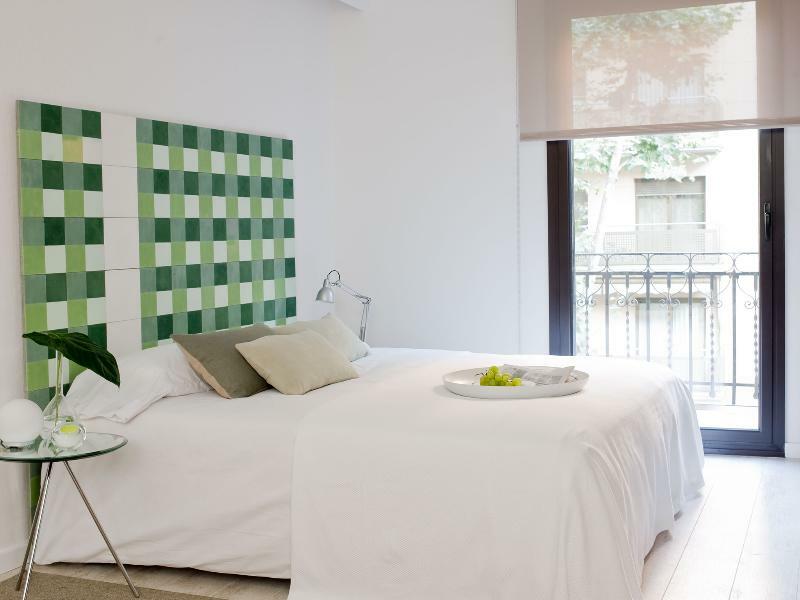 If ever I return to Barcelona, I will definitely re-book here - such value for money! 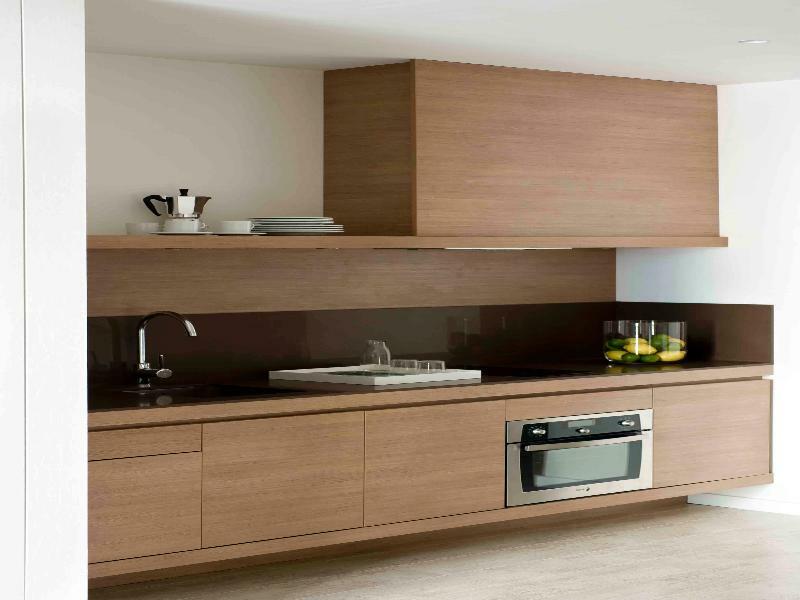 Fully functioning kitchen with a washer and dryer and spacious rooms that are all stylish. There’s also a balcony overlooking a great view of the street. A short walk to Avenida Gaudi and Sagrada Familia. There’s a bus stop and a train station nearby. Pleasant stay. Like coming back home feel. Easily accommodate 4 adults with One Queen Size bed and 2 single beds room. Clean and big apartment. 30 seconds walk to Sight-seeing open top Big Bus bus stop. 10 mins walk to Sagrada Familia Cathedral. Friendly staff. Will come back again. Wonderful location just next to the underground. The place is clean with wonderful and helpful staff. Only thing to note is that even though there is a lift in the property, it stop at certain levels such that you may need to haul the luggage down short flight of steps. I loved the penthouse here. Big terrace/balcony. Modern interior. Nice big bed. Great location (close to Sagrada Familia). good food nearby. Staff was friendly and helpful. We stayed here for 5 nights. all of staffs are nice and helpful. This is modern apartment. Great location: restaurants and supermarket are located within 2- 5 walking minutes. A lot of restaurants nearby and a few blocks away from La Sagrada Familia. Highly recommended. Cafes and convenience stores nearby. Clean apartment, though the single beds are a bit narrow (by US standards). It's walkable to Sagrada Familia, but not walkable to most of the other touristy attractions. We booked Eric Vogel apartment thru Agoda web site for our family. This apartment is compact, close to Metro rail & bus, immaculate from inside but balcony view isn't attractive. Reception people work in shift but they are all very helpful and provided useful guide/tips for stay. After hours automated check-in process is a breeze but looks like system only accepts Master/Visa credit cards. Reception staff speaks good English and very helpful. The apartment even provide all the basic cooking ingredients and laundry powder. Location is so close to the amazing Sagrada Familia and St Paul Hospital. If you like to use Metro for transportation, the station is just a minute away. 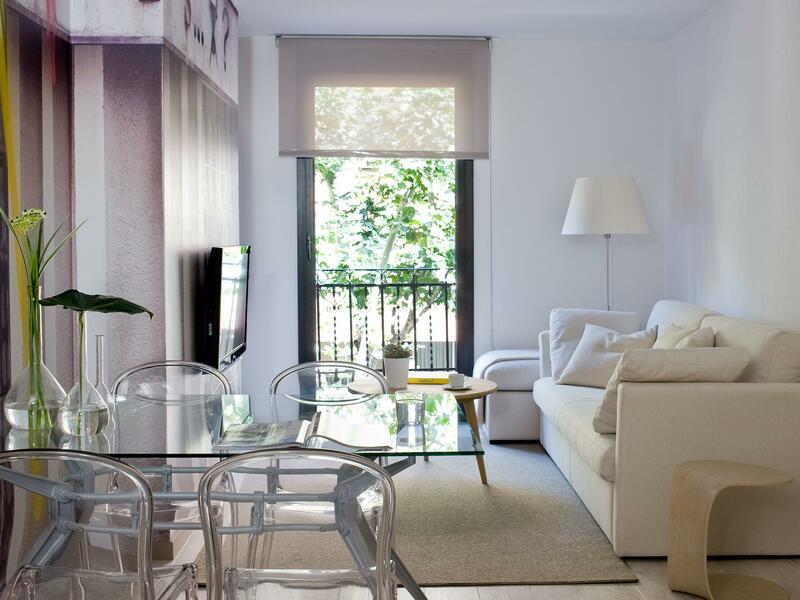 Very nice , big and fully equipped apartment near Sagrada Familia. Next to Hospital de Sant Pau metro stop (line L5). Very friendly staff ,ready to help you at any time. I stayed only one day because Bcn was a transit destination. However, I was fully satisfied with my choice. Highly recommended!! Overall our apartment was fantastic and a fabulous value for the money. It was great to be close to a subway station and the Av. de Gaudi. Small things to be aware of: 1. In our two bedroom suite the bedroom with two twin beds had a sliding glass door right next to the exterior door so it was susceptible to noise from the hallway. 2. We were on the 4th floor and the street noise was relatively loud. There is a bus stop outside across the street and it was easy to hear, as well as trash/recycling trucks during overnight hours. 3. As we were there in January, it was chilly outside and we found that the living room wall unit did not do a great job at keeping the apartment from feeling cold. eric vokel is so nice apartment! i stayed for 5 days with my family. this apartment is big and clean. there is everything that you need. u can use laundry machine, dish washer, and kitchen. there is a market(mercadona) near the apartment, so u can buy some foods easily. also reception is very nice and kind, they are very helpful! so if i go to barcelona again, i will stay this apartment again. everything is good, but sound proof is not good. so if you are sensitive, u should think one more time. Our group stayed 4 nights at the Apartment recently. 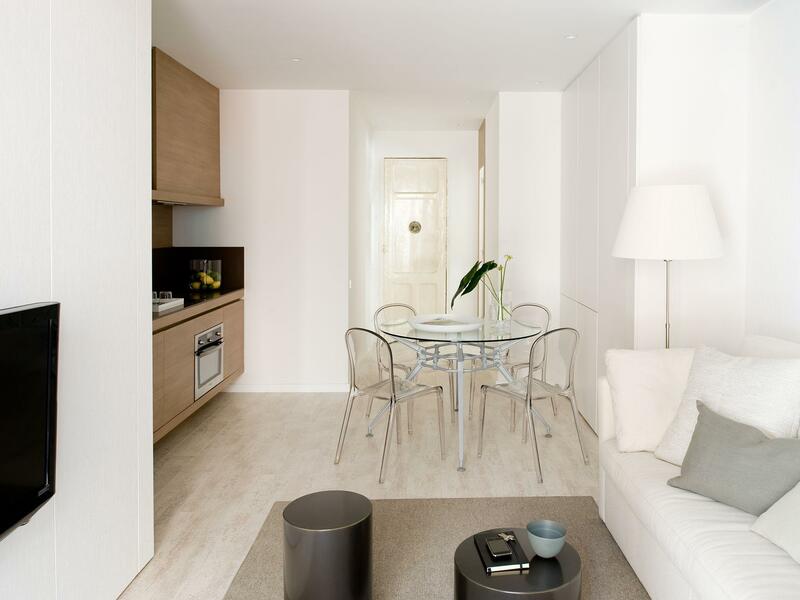 Location is good...short walking distance to Sagrada Familia n Sant Pau hospital. Metro staion nearby and a bus stop just across the room. Good quiet neighborhood. Many food outlets close by . They have left luggage lockers on the four floor. Strong and fast wifi. For the last month in Spain these apartments are surely the best host. Awesome place made by welcoming people that take into account everything you really need or may need. Really pleased that have found such a beautiful place. Quiet yet central to all places of interest. next to the metro and vodafone to buy a Local SIM card. very comfortable 2 bedroom apartment. Comfortable and central to all visits. Felt like I was a local living in Barcelona and living out of my 2 bedroom apartment. Comfortable living room to watch the news when we came back from our touristy day and great dining equipment to make breakfast every morning. Didnt get enough shower gel and shampoo during our stay and no laundry detergent given to us and we were never at the apartment when the reception was open to get the necessary toiletries we needed. Overall I would recommend this and would stay again if I was visiting Barcelona again. Stayed for 7 days, used the apartment taxi company to take us to and from the airport amaizen service, apartment well equipped and very clean, staff were so helpful and location good, metro and hop n and hop off bus over the road. Will definitely stay again. A little out of the city center and smack in the middle of the tourist area beside La Sagrada familia (i.e. inflated food prices and metro rides to the city center). But overall, the experience was still pleasant as the apartment was very liveable and staff were quick to respond on email even though the service counter was only open when we were out (which was kind of silly).